Valerian It's only been six months — give him a chance. 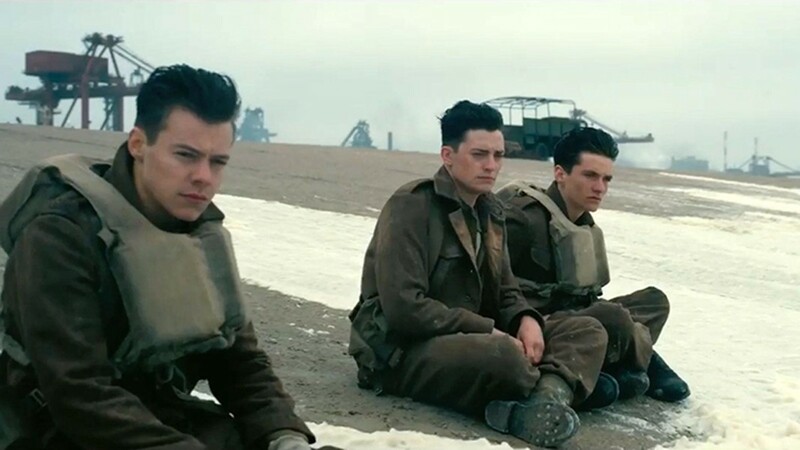 Dunkirk Awkward moments with your former boy-band mates. Perhaps uniquely, though, he has sustained as a blockbuster auteur, directing his own material, often co-written by brother Jonathan (his sophomore feature, Insomnia, 2002, being the notable exception, adapted by Hilary Seitz from and original screenplay by Nikolaj Frobenius and Erik Skjoldbjaerg). And that material, while inarguably pleasing and digestible, can also be astoundingly heady and academic, tending toward a distinctly British sort of mildly bemused intellectual distance and darkness. It surprises me that this particular combination of traits can still result in such substantial popular success. Maybe the world isn't skewing as anti-intellectual as I tend to fear. Maybe some of the detractors are right and Nolan's work isn't as smart as it seems, in which case the anti-intellectual argument comes back into play. Or maybe some old-fashioned things become classics for a reason — maybe his synthesis of all these elements just works and resonates with people on a visceral level. I lean toward the last, with Dunkirk as the clearest example so far of the emotionality of Nolan's movies cutting through — or working with — their gorgeous artifice and technical prowess. By late May of 1940, the efforts of Allied troops on the Continent have been met with an overwhelming resistance. Systematically pushed back toward the English Channel, hundreds of thousands of soldiers find themselves trapped in plain view. With the towns to the East all occupied death traps, the British navy holding backs its ships — seemingly the only hope for evacuation — in anticipation of a defense of the Isles and enemy dive bombers and fighter planes increasingly decimating the beachhead, the situation appears utterly hopeless. Against this desperate backdrop, Dunkirk tells its story in three interwoven, non-linear parts: from the perspective of the British civilian boatmen pressed into service to cross the Channel and extract as many soldiers as possible; from the air, as an over-matched group of Spitfire pilots do what they can; and finally amid the terrible disorder of the beach itself, as engineers and a few naval officers do everything they can to establish adequate systems to facilitate the evacuation. Photographed by Hoyte Van Hoytema, Dunkirk is, not surprisingly, a densely beautiful work of cinema art, the colors bruise-dark and saturated to the point that the wind from the North Atlantic feels like it's blowing off the screen. There is just enough frenetic energy in the camera-work, against the impeccably composed large format landscapes, to highlight the chaos of the events. The visual style lends itself to the unusual structure of the narrative, with the two combining to create the tense, enduring atmosphere of a thriller. And, in what has become typical Nolan fashion, Dunkirk, although it tells the story of a gigantic military operation, feels focused and intimate. With minimal dialogue and an emphasis on eye contact and physicality, the tension between each character's inner light and darkness comes to life on screen with the wave-action of hope and hopelessness. PG13. 106M. BROADWAY, FORTUNA, MILL CREEK, MINOR. 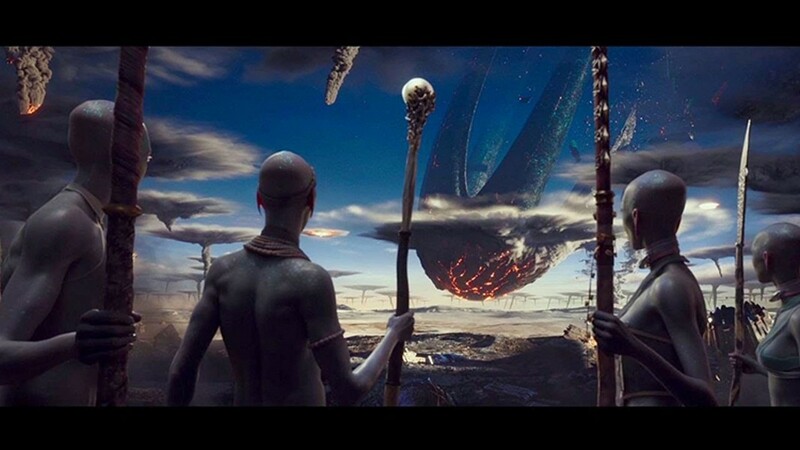 VALERIAN AND THE CITY OF A THOUSAND PLANETS. In yet another distressing indicator of the passage of time, this made me confront the fact that I haven't really enjoyed a Luc Besson movie in 20 years. In the good old days, Leon: The Professional (1994) and The Fifth Element (1997) felt fresh and inventive. They created cinematic spaces I was happy to visit and re-visit. Now his movies just make me sad. Based on a comic book series by Pierre Christin and Jean-Claude Mezieres, Valerian takes place a couple of centuries from now. The international space station Alpha, having become large enough to threaten Earth, has been pushed deeper out into space, where it continues to grow. Maj. Valerian (Dane DeHaan) and Sgt. Laureline (Cara Delevigne) work for some vaguely organized government agency as covert operatives charged with ... maintaining the security of the universe, maybe? It's really not clear from the context and neither of them seems particularly good at it. In the background, there's a thread about an idyllic planet having been ravaged by the bellicose impulse of mankind and about the few survivors of the planet trying to rebuild their society. This is overlaid with some poorly constructed military intrigue. Valerian proclaims his love for Laureline, although this relationship has no on-screen foundation whatsoever. Rihanna gets an arc as a globular, shape-shifting cabaret performer who comes to the rescue. I've liked DeHaan in other roles but he seems ill-suited to this one. Or the collective vision for the character — and for the whole enterprise — is misconceived; both can be true. Maybe fans of the comic books will enjoy it more than I did. PG13. 137M. FORTUNA, BROADWAY, MILL CREEK. ATOMIC BLONDE. Charlize Theron throws beatings and bullets in all directions as an undercover MI6 agent in this spy action-thriller. With James McAvoy as her station chief/accessory. R. 109m. BROADWAY, FORTUNA, MILL CREEK. THE EMOJI MOVIE. *Eye-roll emoji. PG. 86m. BROADWAY, FORTUNA, MILL CREEK. FOOTLOOSE (1984). Kevin Bacon stars in this iconic dance movie that could make you think twice about bringing back high-waisted jeans. PG. 107m. BROADWAY. BABY DRIVER. What's not to love about Edgar Wright's love letter to 1970s American car chase movies and its wall-to-wall pop soundtrack? With Ansel Elgort as a driving savant/reluctant wheelman and Kevin Spacey as an organized criminal. R. 113m. BROADWAY, MILL CREEK. THE BIG SICK. Kumail Nanjiani and Zoe Kazan star in a romantic comedy that breaks new ground as boy meets girl and girl goes into coma. Michael Showalter directs this deceptively simple, unassuming movie in which the deeply funny is juxtaposed with the devastating. R. 120M. BROADWAY, MINOR. DESPICABLE ME 3. An out of work Gru (Steve Carell) returns to a life of crime, meets his long-lost twin and battles a villain stuck in the '80s (Trey Parker). With Kristen Wiig. PG. 156m. BROADWAY, MILL CREEK. GIRLS TRIP. Almost 30 years after "Ladies First" dropped, Queen Latifah, Regina Hall, Jada Pinkett Smith and Tiffany Haddish star in this crass tale of four lifelong friends' trip to the Essence Festival in New Orleans. R. 122M. BROADWAY, MILL CREEK. LETTERS FROM BAGHDAD. Documentary about Gertrude Bell, a powerful British woman in post-World War I Iraq. Starring Ammar Haj Ahmad, Adam Astill and Tom Chadbon. NR. 95m. MINIPLEX. THE LITTLE HOURS. Quiet life in a medieval covenant turns decidedly lustful when a young servant fleeing his master takes refuge. The raunchy comedy boasts an all-star cast that includes Molly Shannon, John C. Reilly, Aubrey Plaza and Nick Offerman. R. 90M. MINIPLEX. MAUDIE. Sally Hawkins stars in this biopic of arthritic artist Maud Lewis, who painted in Nova Scotia. With Ethan Hawke as her taciturn husband. PG13. 115m. MINOR. SPIDER-MAN: HOMECOMING. Co-writer/director Jon Watts (Clown, 2014; Cop Car, 2015) makes good on a tremendous opportunity here, utilizing a talented cast to great effect and bringing the franchise back to its sweetspot. PG13. 133M. FORTUNA, BROADWAY, MILL CREEK, MINOR. WAR FOR THE PLANET OF THE APES. Caser (Andy Serkis) sets out on a quest of vengeance after the apes are pulled into war with a ruthless colonel (Woody Harrelson). PG13. 150M. BROADWAY, FORTUNA, MILL CREEK, MINOR. WONDER WOMAN. Director Patty Jenkins and company handle the seriousness of justice and love overcoming prejudice and hate without turning pompous, and still entertain with outsized battle sequences in this fine DC adaptation. Starring Gal Gadot and Chris Pine. PG13. 141m. BROADWAY, MILL CREEK.